Wallpaper is coming back in vogue, and for good reason. 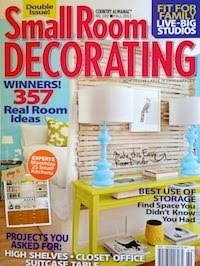 It's an easy (and inexpensive) way to dress up a room, create a backdrop, or liven up your shelves. The look needn't be stuffy or even structured, either - it's a great way to create a distinctive look for your home. And if you're renting? The inside of your cupboards could use a little dressing up too. Look at the lovely options that Anthropologie's new paper line offers.